CFS Group needed a brochure that they could send to clients online, as well as use as a leave-behind in meetings. We designed a printed piece that can be broken into 8.5 by 11″ sheets suitable for PDF. The brochure capitalizes on their product photography, and features well-organized panels of content and bright colors that complement their logo. 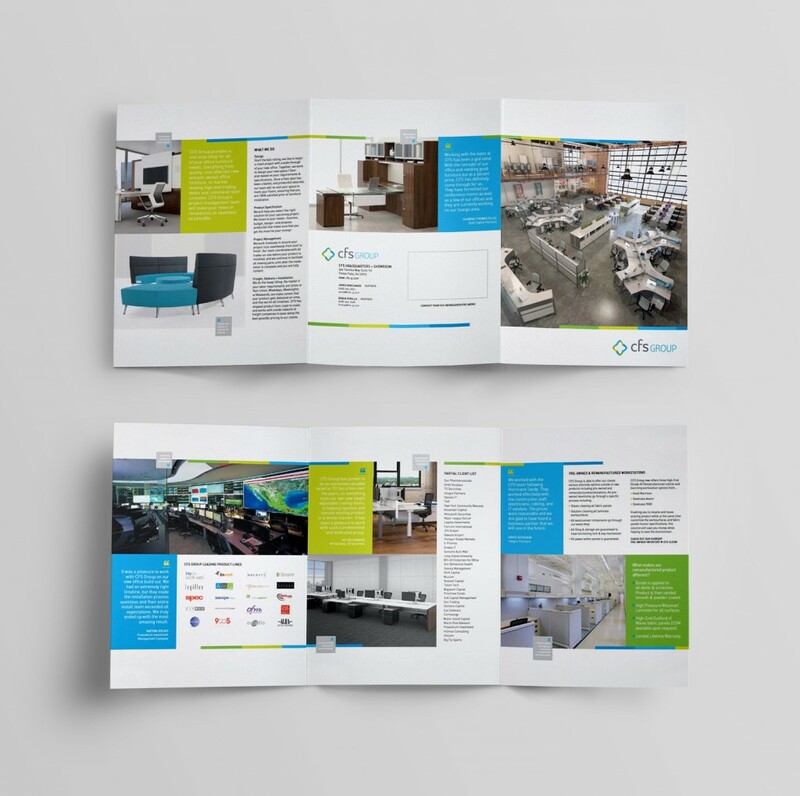 The result is a strong piece of print collateral for these office furniture specialists.